Energy efficient windows from ABC Seamless Siding & Windows can help to keep your home in Nixa, Missouri, better insulated. We understand that as a homeowner, you want quality products for your home that are offered at a fair price and installed properly, and we go above and beyond to provide that for our customers. This is how we have maintained an A+ rating with the Better Business Bureau. What’s more, the frames of our windows are made of a robust virgin vinyl, so there are no recycled plastics in the frame, making them exceptionally strong. Our windows will not warp or rot, so they are also low maintenance. You can even choose from multiple options for the frame color or faux-woodgrain finishes. Plus, the frames are backed by a lifetime warranty, and even the glass of our windows is backed by a lifetime glass breakage warranty, giving you peace of mind that your investment is well protected. 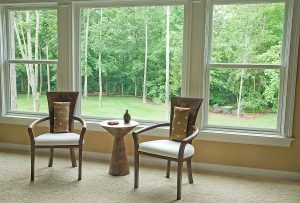 To learn more about the energy efficient windows we can install on your home in Nixa, MO, contact ABC Seamless Siding & Windows today. Be sure to also ask about our financing options for qualified homeowners.